We’ve all been there in this situation. If you’ve followed theme parks and attractions long enough, you’ve seen the announcements that make you scratch your head. “How can they put (inside ride here) in this park and expect it to do well?” and to your surprise, it is extremely popular and good for the business. Or “this new theme park has such amazing potential, they’ll practically print money!”… and it dies less than a year later. What goes into making these decisions? These multi-million dollar investments that can affect a theme park attraction for decades down the road. Is it a gut feeling? A poll amongst close friends? Market research? Or careful, analytical and even dare I say, *scientific* planning? In reality, it’s usually all of these things. However, it’s creating a new attraction or product through careful and strategic planning that most parks use… or at least they should be. It’s hard to bring up this subject without acknowledging the patriarch of this type of strategic planning for theme parks: Buzz Price. Say what you will about Walt, Roy or even Michael Eisner or Bob Iger and you can probably also rattle off dozens of Imagineers who played a vital role as well. They certainly had a huge impact on how we see Disney parks today. However, there is no question a lot of that thanks goes to Buzz Price. Throughout his career, Buzz Price did literally hundreds of reports and case studies for not just Disney, but all sorts of theme parks and attractions around the globe. While you may not be as familiar with his work, you couldn’t have a modern-day theme park without his strategic planning and market analysis. Today that torch is carried by a company known as The Park Database. Today’s article comes directly from their team and contains some eye-opening information on what goes into the planning of new attractions, expansions and theme parks globally. Enjoy! Here at the Park Database, we have a simple mission. We are trying to collect information and data on every attraction in the world. This is a simply stated mission that is difficult to achieve, and we are aware that it will likely be a never-ending process. You might wonder what the purpose of this mission or of the database itself is. Or why it’s relevant to you. 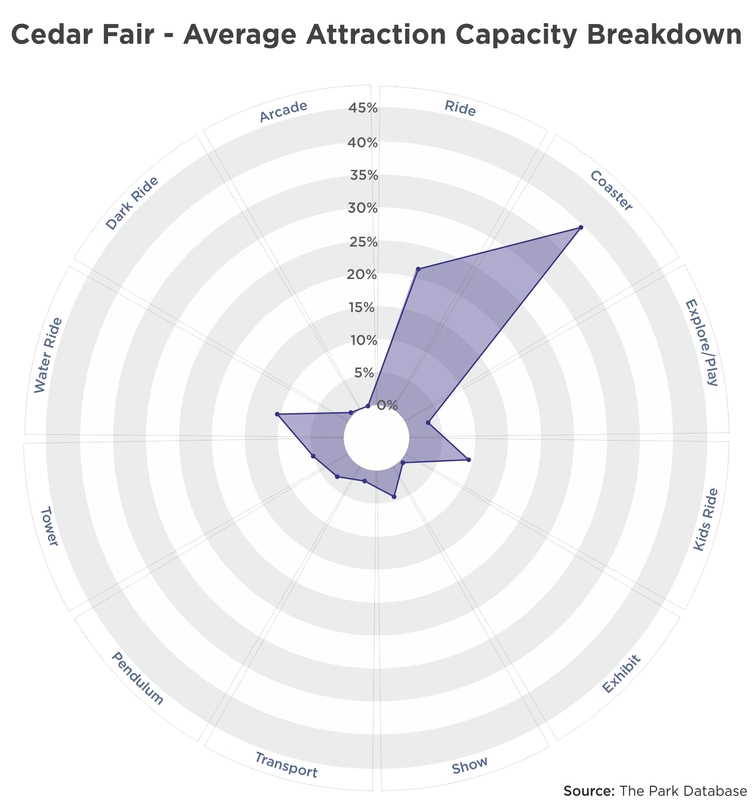 The Park Database was founded by several attraction industry veterans, with tenure at Economics Research Associates until its acquisition by the conglomerate AECOM. For those familiar with this now-defunct company, whose 60th birthday would be this year, ERA was founded by Harrison “Buzz” Price, who was the trusted economic and real estate advisor to none other than Walt Disney himself. Founded in the 1950s, ERA was a wonderful repository of knowledge, theme park lore, and history. Its main library in the Los Angeles office was filled with reports, brochures, design documents, and sketches for attractions dating back 50 years. This included concepts of everything you could possibly think of, from spherical casinos, to theme parks in the shape of musical instruments, to assault-rifle “attractions”, conducted in every corner of the earth from the furthest reaches of Siberia to locations in equatorial jungles. Statistical yearbooks, annual reports, and internal performance data documents lined the shelves, dating back decades. This material was a treasure trove and a virtual time capsule. Looking at brochures from the 1950s and 1960s gave us a glimpse into Tomorrowland-like retro-futures, a nostalgia for a future that never was. In the 1960s and 1970s, there was a lot of work on World’s Fairs and for the Disney company, much of whose work was later taken in-house. In the 1980s, there was an emergence of both Japanese-language materials and work, as well as the rise of work in Asia in general. We accessed this vast data and knowledge repository through a Dewey Decimal system, which catalogued the various print materials in the library. There were other historical relics too; many of the secretaries still used typewriters that thundered through the walls, and scrawled notes – and jotted down dictations for the older partners – in a beautiful, handwritten cursive that sadly is a lost art form today. We were a modern office with quaint elements of a bygone past mixed in. And these are the origins of The Park Database. For entry-level analysts, doing any type of work meant trying to scour knowledge stored across physical print materials, brochures, the office’s computer network, and in the minds of the firm’s older partners. There was no central data or knowledge repository. Data files stored on the computer were stored haphazardly, often on local desktops. The company itself was a vast source of knowledge. But tapping into that knowledge was an endless source of frustration. And, you would always have that lingering feeling that, possibly, you were missing something. We’ve created The Park Database to carry on and extend the ERA legacy. Some of the datasets in the proprietary (non-public) version of our database date back to the 1950s. As we continuously update the database, we hope we can come close to becoming the knowledge repository that ERA once was. And most importantly, to democratize the information for all to use. Now, you might be saying, that’s all great, but why should we care? Simply, having more data and analyzing it properly allows everyone to be better-informed, and most importantly, make better decisions. Theme park development costs hundreds of millions, to billions of dollars. Having timely, actionable information early is crucial to preserving resources. As an example, simply having a larger dataset allows you to see patterns and understand the industry better. 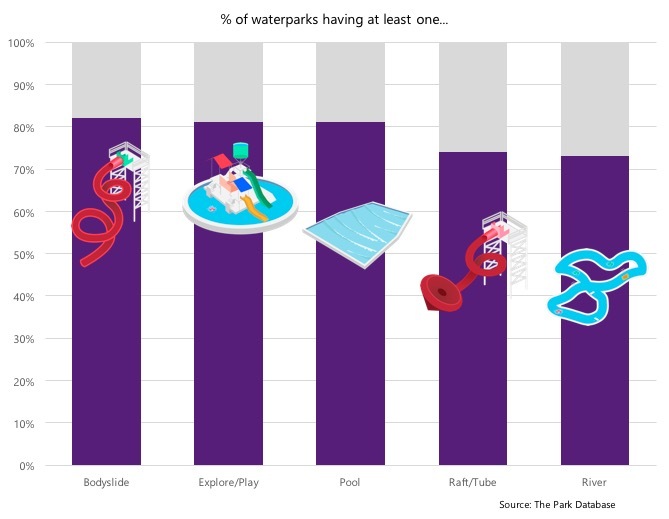 For example, did you know that despite the thousands of theme parks that exist in the world, less than 20 of them earn more than 85% of all the theme park revenues in the world? 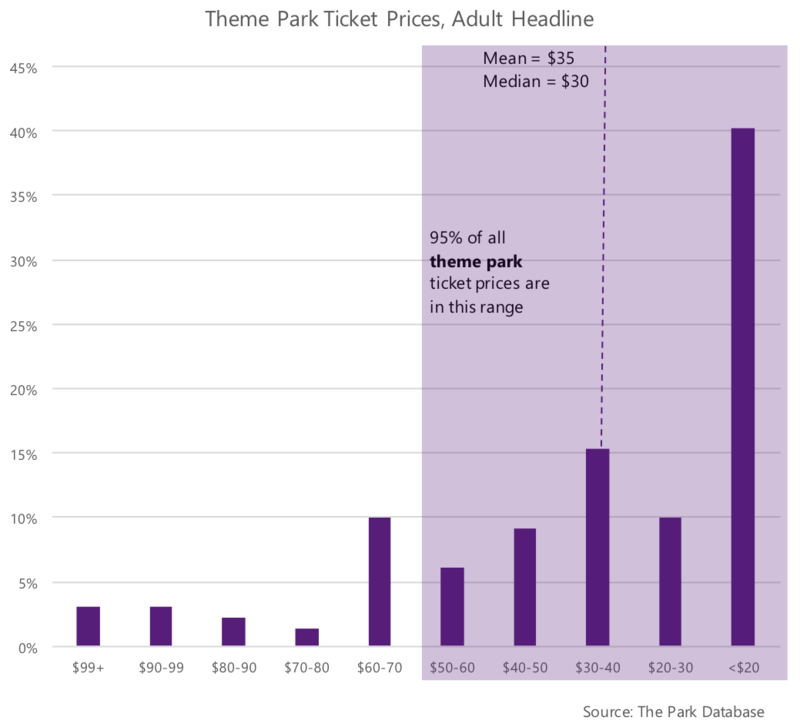 Or, as a corollary to the above point, that the larger the attraction, the harder it is for it to be profitable? Or, perhaps from a planning perspective, you’re trying to decide what the acceptable range of ticket prices for location-based entertainment is. What is the probability of guests paying $50, $60, $70+? As it turns out, the answer is: low. Perhaps, from a design or planning perspective, you wanted to quickly sketch out the necessary components of an attraction like a waterpark. What is the 80/20 on designing this; what are the components that we must absolutely include? Or, perhaps you’re looking to position your development or attraction against an existing attraction or theme park in your market. It could be helpful to know exactly what the offering is, that you’re potentially competing against or complementing. What is the attraction inventory of the competitors in your market? 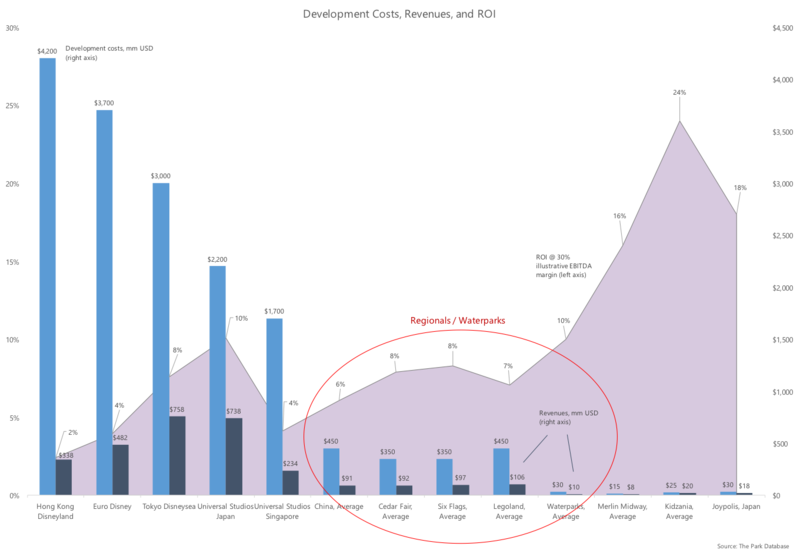 Of course, these are just examples of the insights available by aggregating data. But we hope the meaning is clear. This is an industry we all know and love. Unfortunately, it is an industry that is now competing with all sorts of entertainment options that simply didn’t exist when Walt and Buzz first sat down to plan Disneyland. And that makes it more necessary than ever to be deliberate, and plan effectively for an entertainment venue that can truly outperform. Many thanks to The Park Database for today’s post! If you’re interested in learning more or inquiring about their services, you can visit them here and tell them Theme Park University sent you! This entry was posted in Theme Parks 101 and tagged Buzz Price, Park Database, theme park planning. Bookmark the permalink. Trackbacks are closed, but you can post a comment.